High Tech Youth Studio at Vaivase has finally given itself a unique Samoan name ‘Le Tuiga’. On Wednesday, the newly-appointed High Tech Youth Network’s Studio Producer, Khosrow Si’isi’ialafia organised a two-day workshop titled “Name the Nameless”. It was not only to provide a unique name for the Studio; the first of its kind in Samoa, but also to design a logo. Students drawn from primary and secondary schools in the studio’s after-school programme as well as youth who are out-of-school learners, spent Wednesday evening and Thursday morning using all the facilities available at the Studio to come up with a name. They set about with crayons, pens, pots of paint, a guitar, song and dance as well as the computer programmes such as Photoshop and other facilities in the Music Studio to develop the final product. 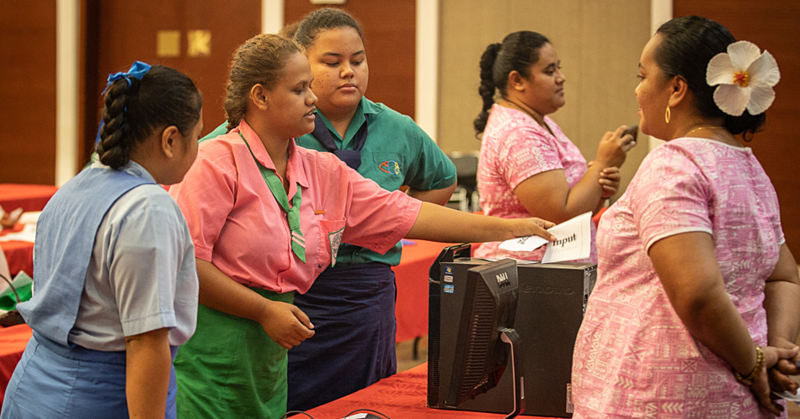 By Thursday afternoon, the students had narrowed the possibilities down and in an extremely close vote, the group decided on the name “Le Tuiga Samoa” as the name for the Studio. Discussion on the final selection recognised that the ceremonial head-dress is uniquely Samoan, and is worn by youth both female (taupou) and male (manaia). The tuiga logo also reflects youth and their connectedness through family, village and culture and promotes youth as future leaders. The stems of the tuiga reflect a connectedness to the world though modern communication such as the mobile telephone and the computer. The hyper, flame and connect statement represent activity. Khosrow explained that whilst all studios in New Zealand, Hawaii and Fiji are all under the High Tech Youth Network umbrella, each Studio has a unique name. The studio in Otara for example, was named “Studio 274” because those are the first three digits for all telephone numbers in Otara. Similarly, one of the studios in Hawaii was named “Studio Shaka” with the familiar Hawaiian “Hang loose” hand logo. “The primary outcome was that it would be the students themselves who would ultimately name the studio and design its logo,” Khosrow said. The students who were involved in making a name for the studio are all active High Tech Youth members. In-Country Programme Manager Moananu Tyrone Laurenson explained that student involvement leads to “ownership and care” of the studio by those who have an active interest in its developments. He was also grateful to several people who gave their time and took part in this workshop. “Guest presenter and also Chairperson for the Pacific Youth Council and NUS Lecturer Miss Tahere Si’isi’ialafia led the students through a series of activities in her presentation entitled “Thinking Outside the Box,” where she encouraged the participants to think of a title that was positive, attractive, unlimited and would reflect a uniqueness and identity,” Moananu said. “In her presentation entitled “My Contribution” a second guest presenter and A.P.T.C. Trainer in Community Development and Youth Work, Loretta Tuiletufuga took the students through a series of exercises to look at “My Contribution” – speaking of values of team work, friendship, and unity. Earlier this year, Moananu pointed out that although the Studio is an outside model being adapted for another country, Samoa fits into the mission at the core of H.T. He anticipates there will be some challenges in the beginning, but that it is also a very exciting place to be. “The mantra for the High Tech is about expanded learning opportunities and it revolves around three things: culture, community and technology. 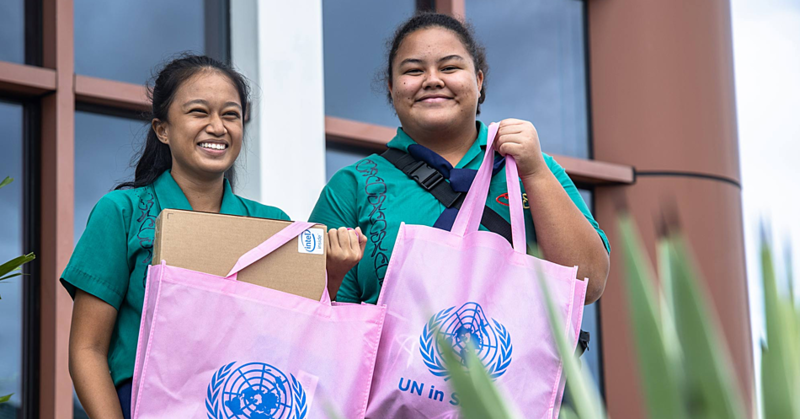 “Samoa is unique in my view, in that those other countries, like New Zealand, Fiji and the United States -- English is their first language, whereas in Samoa, it is not. We’re actually meeting all the criteria and core values of this organisation. We should be able to truly meet the culture aspect with our Matai system, we have the village system -- all the structure is in place in terms of culture. So we have all that, where other countries haven’t all got that, necessarily. One of the most exciting resources that H.T. 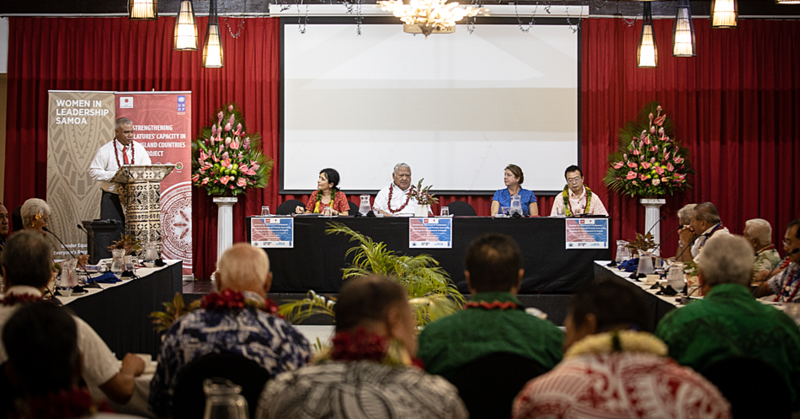 has, is its international networks and the fact that peer learning will extend beyond their location here in Samoa. The students will be able to connect online in conference style and participate in tutorials or webinars with other members in their international network. The High Tech Youth Network premises adjacent to Samoa College, boast a film studio, music studio, adobe suite programmes, animation programmes and space for community engagement. They welcome people of the ages between 8 - 26 years, people with disabilities, out of school learners and those who identify as LGQBT. They are also looking for volunteers with industry type skills who can share their expertise and experience with their members, any time is appreciated.